Theno was killed after being hit by a large wave in Hawaii. 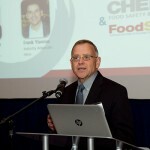 The news broke this morning that David Theno, one of the most well known experts in the food safety realm, was tragically killed while reportedly snorkeling in Hawaii. He was pronounced dead on Monday following attempts to resuscitate him. 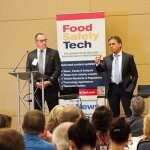 Theno was most notable for his role in implementing new standards in food safety in his position as senior vice president and chief food safety officer at Jack in the Box following the 1993 E. coli O157:H7 outbreak that killed four children. He implemented a HACCP plan and other product testing measures long before it was embraced by many in certain segments of the food industry. Also a former chief of food safety for Subway, he was in the news over the past week for his testimony in the BPI case versus the ABC network. 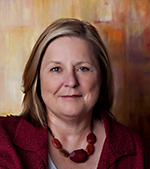 Theno served as a consultant for BPI from roughly 2010 to 2012, and reportedly reviewed BPI’s food safety practices. 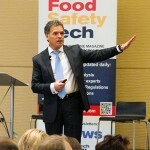 Theno was founder and CEO of his own food safety consulting business, Gray Dog Partners, Inc. He received numerous awards for his outstanding work in food safety during his career, most recently the 2017 NSF Food Safety Leadership Lifetime Achievement Award. David Theno’s contribution to Food Safety was HUGE, He was also the Director of the PURE Bioscience Scientific Advisory Board. I had the pleasure of meeting Dave and members of his family at the recent FSS convention. He will be greatly missed. Truly a great loss for our Food Safety in our industry. Terribly sad news! Dave was an absolute GIANT in Food Safety for decades. We were youngsters together in the late 70’s at Armour Foods. Dave will be sorely missed in our world. Dave Theno was one of the smartest meat scientist I ever met. He was very much an ” out of the box” thinker and a great problem solver. His mark and legacy is left everywhere on our industry. Very personable, really a man’s man. We will miss you!